(Re)building urban food policies is a great opportunity to reconnect people to their food production, stimulating healthy eating behaviours and supporting environmentally sound regional production. At the November 2018 food conference of the Austrian council presidency Stephanie Wunder, Senior Fellow at Ecologic Institute, discussed the role of urban food policies to support healthy lifestyles. She discussed the opportunities of local food initiatives with regard to health, food security and sustainability. Many local initiatives have in common that they try to tackle food production and consumption in a more integrated way by reconnecting people to their food production, stimulating healthy eating behaviours and supporting environmentally sound regional production. The session discussed how to overcome barriers and how to benefit from inter-sectorial collaboration throughout the process of planning and implementing coherent policies. 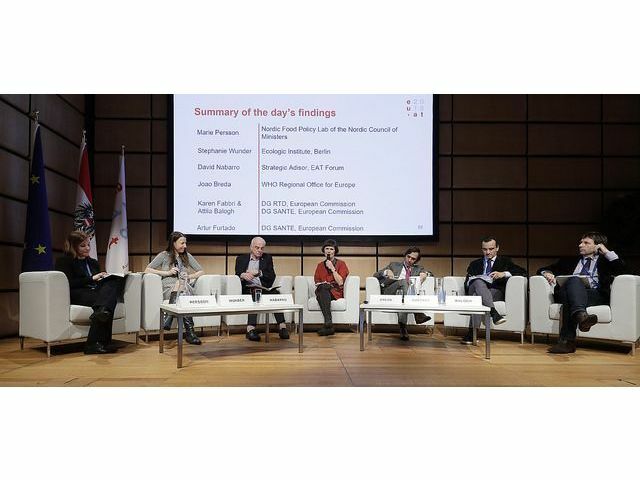 The conference "People's food - people's health: Towards healthy and sustainable European Food Systems" between 22 and 23 November 2018 took place in Vienna and facilitated a dialogue between relevant stakeholders from different sectors in the food system.